The rise of social media has forever changed the way that customers expect to interact with brands. To prove this, Nielsen published a report looking at the time Americans spend online. It found that e-mail’s share of time declined 28%, behind online gaming. 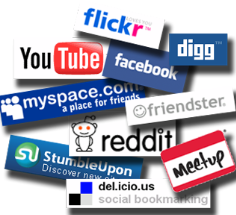 Meanwhile, social networking climbed 43% and is the number one online activity in terms of time. While the data is for America, this trend is seen worldwide. This is especially important for brands targeting expats, who often use the Internet as a way to connect to others who are living abroad. Expats are open to engaging with brands online, as long as what brands are offering them is meaningful. 1. Create your social media goal and research social media platforms – Websites like Just Landed have active expat forums, with several opportunities for engagement. Of course, you need to deliver value with your posts, as just promoting your products will not achieve any engagement with members. In fact, it could win you a reputation as a spammer. You can find your audience by searching for your brand name, your competitors and keywords related to the expat industry. Twitter, Facebook and LinkedIn are also a good place to start. 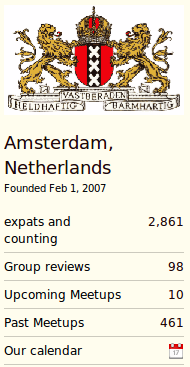 You can also find a large expat audience on InterNations, which is a great social network of expats. One example of an expat company using social media to engage with its audience is Now Health, an international health insurance provider. 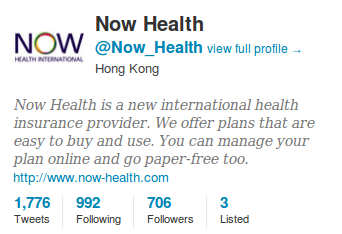 Currently boasting over 700 Twitter followers, the company users its Twitter account to not only provide health-related updates, but also to engage with followers in regular conversations about expat life. comments and starting conversations with them. 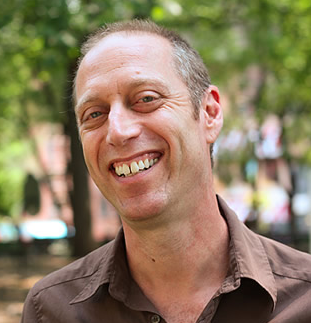 One such influencer is David Lebovitz, an American chef now living in Paris. He is a published author with a large following, and blogs mainly about food and restaurants, so would be a great contact for a marketer looking at expat food-industry influencers. 3. Participate actively – Social media presence does not mean simply having a Twitter or Facebook account, you need to keep them active. You have to dedicate resources to find interesting topics to discuss on a regular basis. This requires a delicate balance, since too many updates can be seen as spam – especially on Facebook or LinkedIn. If your messages are relevant and on the right platform, you will be able to reach your audience effectively. Your ultimate goal here is to increase positive sentiment about your brand. When it comes to building an expat audience, you need to find topics that expatriates follow closely, such as language, visa or property issues. Don’t simply share links, but provide insight into the latest issues. 4. Take your relationships offline – Even in the social media age, it’s still important for brands to have a human face that they can show their audience when appropriate. This is why you should organise regular face-to-face events and attend industry conferences, further building attachment to your brand. Meetup is a great social tool for arranging to meet with your expat audience. 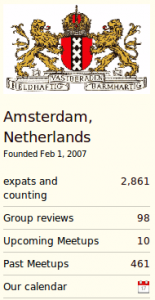 The Amsterdam Expat Meetup Group, for example, boasts nearly 3,000 members and has 10 upcoming meetings. 5. Regularly measure your results – This is where you see whether you’re meeting your social media goals and find ways of improving your strategy to further strengthen your social media presence. Develop tools that will allow you to measure your social media presence before your campaign started and how it has changed after your campaign implementation. Klout is a fantastic and simple tool for measuring online success on Twitter, Facebook and LinkedIn, comparing your key success metrics with those of other people you follow. Posted in Social Media.Tagged expat meetings, Expatica, social media.